Digital Golf Pass is The Nation's Premier Discount Passbook Program. Free trial and download a money saving deal for Belterra Golf Club. Digital Golf Pass is The Nation's Premier Discount Passbook Program. Free trial and download a money saving deal for Cherry Valley Golf Course. Digital Golf Pass is The Nation's Premier Discount Passbook Program. Free trial and download a money saving deal for Christmas Lake Golf Course. Digital Golf Pass is The Nation's Premier Discount Passbook Program. Free trial and download a money saving deal for Dearborn Country Club. Digital Golf Pass is The Nation's Premier Discount Passbook Program. Free trial and download a money saving deal for Elk Run Golf Club. Digital Golf Pass is The Nation's Premier Discount Passbook Program. Free trial and download a money saving deal for Fuzzy Zoeller's Covered Bridge Golf Club. Digital Golf Pass is The Nation's Premier Discount Passbook Program. Free trial and download a money saving deal for Glendarin Hills Golf Club. Digital Golf Pass is The Nation's Premier Discount Passbook Program. Free trial and download a money saving deal for Hoosier Links Golf Club. Digital Golf Pass is The Nation's Premier Discount Passbook Program. 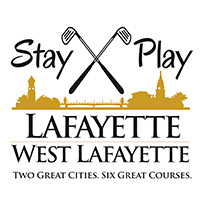 Free trial and download a money saving deal for Lucas Oil Golf Course. Digital Golf Pass is The Nation's Premier Discount Passbook Program. Free trial and download a money saving deal for Old Capital Golf Club. Digital Golf Pass is The Nation's Premier Discount Passbook Program. Free trial and download a money saving deal for Otter Creek Golf Course. Digital Golf Pass is The Nation's Premier Discount Passbook Program. Free trial and download a money saving deal for Shadowood Golf Course. Digital Golf Pass is The Nation's Premier Discount Passbook Program. Free trial and download a money saving deal for The Links at Rising Star Casino Resort. Digital Golf Pass is The Nation's Premier Discount Passbook Program. Free trial and download a money saving deal for Westwood Golf Course.